Update 12:01PM: To clarify, the Street View imagery for Antarctica includes panoramas of an area called Half Moon Island—such as this view of penguins and this one of the landscape. The blue dots you see throughout the continent when dragging the pegman are user-contributed photos. We introduced Street View back in May 2007, enabling people to explore street-level imagery in five U.S. cities. We were excited to share a virtual reflection of the real world to enable armchair exploration. Since then, we’ve expanded our 360-degree panoramic views to many more places, allowing you to check out a restaurant before dining there, to explore a neighborhood before moving there and to find landmarks along the route of your driving directions. Three years later, we’re happy to announce that you can now explore Street View imagery on all seven continents, with the addition today of Brazil, Ireland and Antarctica. You can now see images from around the world spanning from the beaches of Brazil, to the moors of Ireland, to the icy terrain in Antarctica. 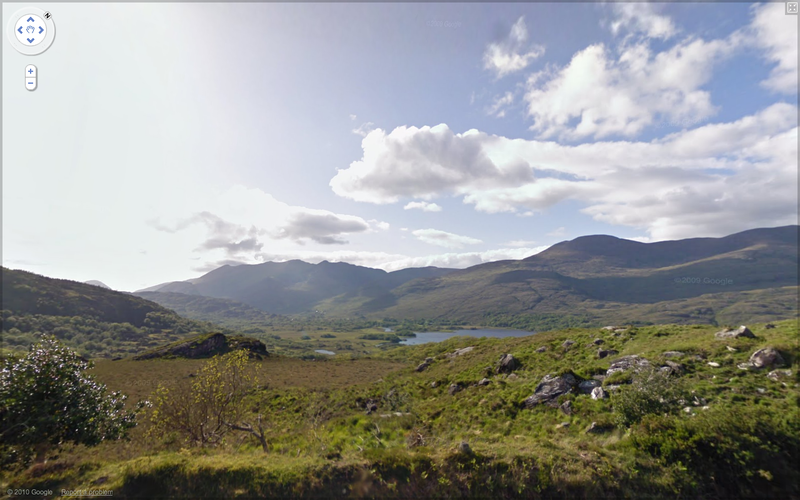 We often consider Street View to be the last zoom layer on the map, and a way to show you what a place looks like as if you were there in person—whether you’re checking out a coffee shop across town or planning a vacation across the globe. We hope this new imagery will help people in Ireland, Brazil, and even the penguins of Antarctica to navigate nearby, as well as enable people around the world to learn more about these areas. 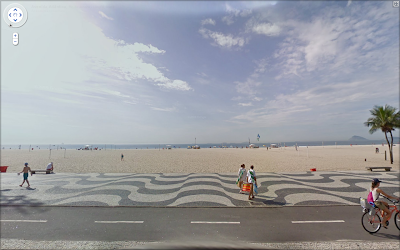 For example, as summer winds down here in Mountain View, Calif., the famous beaches of Copacabana, Brazil are an enticing virtual travel destination. The Ring of Kerry in Ireland, with its picturesque rolling landscape, is another favorite new place in Street View. Speaking of travel, my wife BethEllyn and I embarked on the Minerva for an expedition to Antarctica in late January. We enjoyed stunning vistas, and I found that any minute not spent on deck was a spectacular view missed. Fortunately, we’d planned to take some Street View photos, and are now able to share with you the incredible visuals from Half Moon Island, Antarctica. 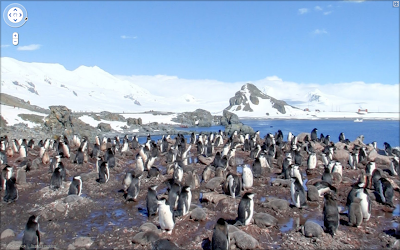 Here is a group of Chinstrap penguins we saw on the island. And this is one of my favorite views. You can see part of the crescent shape that gives the island its name. 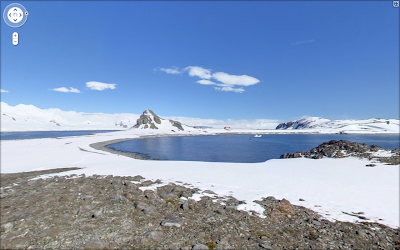 I’m very proud of the worldwide Street View team and thrilled that everyone can now see places from all seven continents, including the amazing landscapes and natural beauty I saw in Antarctica, through the street-level images in Google Maps and Google Earth. To see more highlights from Street View around the world, visit the Street View gallery and start exploring!